I Believe It's Cake! - Wedding Rehearsal Dinner Cake - And A Giveaway! 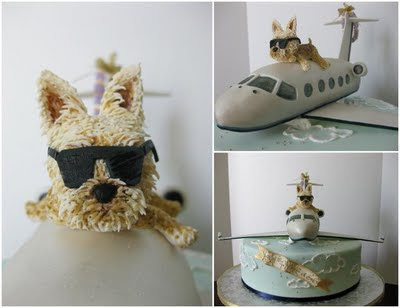 Kyle and Lindsay LOVE their Yorkie named Yoshi and wanted him to feature in their cake. IBI Cake! created an amazing little Yoshi on top of an airplane on top of a delicious red velvet cake. The banner says "Yoshi is fly like a G6." This cake was the hit of the party! 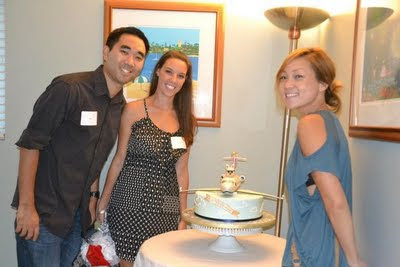 This lovely lady is Laurie, the brains behind IBI Cake, posing with her creation and Kyle and Lindsay. Check out Laurie's facebook and blog for her amazing cakes, she is seriously so talented! It's also fun to see all the celebrities she's worked with: Mel B., Matt Barnes, and many more! 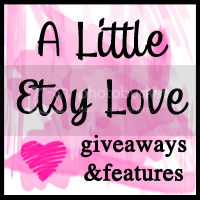 PLUS, she's having a giveaway on her blog right now! Like any baker worth her sugar, she knows a cake stand is the finishing touch that can make your presentation. And you can win this adorable cake stand to start your collection! As you may remember from last year, I LOVE Day of the Dead items! So, of course, I had to make a treasury to showcase all my current favorites.